Pentland Group PLC reported operating income grew 14 percent in the company’s year ended December 31 on a 25 percent revenue gain. 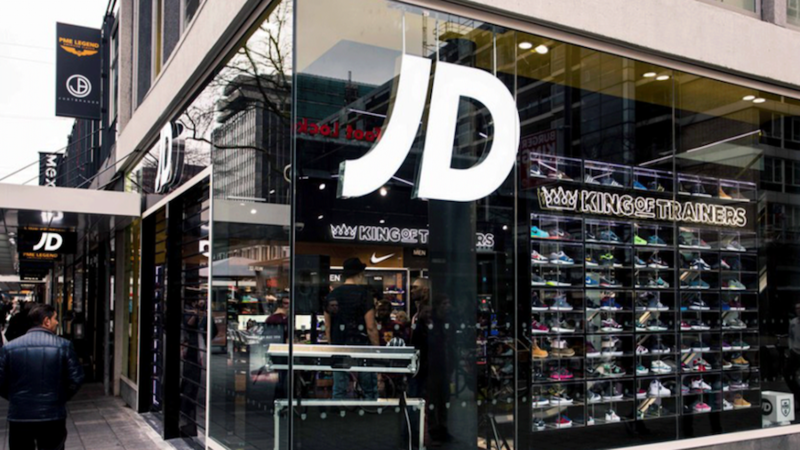 The sale gains were driven by a record performance from JD Sports Fashion PLC. Canadian Tire Corp. Ltd. announced that the company has successfully closed the acquisition of the company which owns and operates the Helly Hansen brands and related businesses. Retail industry employment in June increased by 50,200 jobs unadjusted over the same time last year despite a seasonally adjusted drop from May of 25,800, the National Retail Federation said Friday. Overall, U.S. businesses added 213,000 jobs over May. Hawaii became the first state to ban the sale of sunscreens containing oxybenzone and octinoxate. A federal judge has rejected an Illinois customer’s lawsuit challenging L.L.Bean’s new policy that put limits on the company’s famous lifetime guarantee. Puma’s corporate communications, brand and product PR, as well as employer branding, will be brought together and headed up by Kerstin Neuber in her new position as senior head of communications, a newly created role. SFIA applauded the NFHS decision to extend the implementation date of the new NOCSAE standard for NFHS baseballs to January 1, 2020. Orangetheory Fitness has selected Life Fitness as the preferred treadmill supplier for the company’s growing international business. Smartwool on Thursday announced the company’s new European sales agency, Elements, based in Benelux. The partnership is effective immediately. Authentic Brands Group LLC (ABG) completed the acquisition of Nine West and Bandolino from Nine West Holdings Inc. Through this purchase, ABG increases the company’s footwear and accessories business to more than $2 billion in global retail sales. Gordon Brothers announced that the company has acquired the Bench brand and all the brand’s related intellectual property assets. ISA TanTec is setting up a second tannery in Vietnam following increased leather demand from the company’s customers. SylvanSport was visited by North Carolina Governor Roy Cooper and First Lady Kristen Cooper, who met with Tom Dempsey, SylvanSport founder and CEO, to discuss the importance of the outdoor industry to the state’s economy. Men’s accessories company Randa Accessories submitted a $28-a-share bid for Perry Ellis that could upend Perry Ellis founder and former executive chairman George Feldenkreis’s $27.50-a-share deal to take the apparel company private. Canadian Tire Corp. Ltd. has closed a private placement offering of C$650 million (U.S.$495 mm) aggregate principal amount of unsecured medium-term notes. Vineyard Vines, best known for the company’s whimsical neckties and smiling pink whale logoed golf apparel, is celebrating the company’s 20th anniversary this July with a limited-edition collection and special in-store events. The Rockport Group LLC, which filed for bankruptcy on May 14, announced that, after completing a court-approved marketing process, the company intends to complete the previously announced asset purchase agreement with CB Marathon Opco LLC, an affiliate of Charlesbank Capital Partners. Duluth Holdings has appointed Scott Williams to the company’s board of directors. Williams has more than 25 years of retail experience and most recently served as president of Cabela’s Inc.
Gander Outdoors is opening in Jackson, TN. The 65,000-square-foot location is the only planned facility in the state. Boot Barn Holdings Inc. acquired certain assets of Drysdales Inc., a retailer with two stores in Tulsa, OK.
Nike Inc. announced that Noel Kinder will become the company’s new VP, chief sustainability officer (CSO), effective September 5. 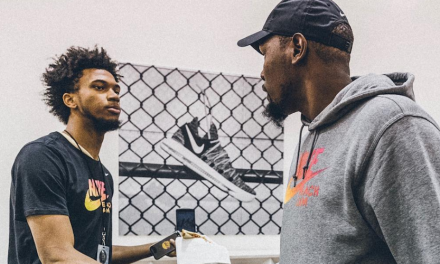 Kinder succeeds Hannah Jones, a 20-year Nike veteran, as CSO, who after 14 years in the role will become president of Nike Valiant Labs, the company’s in-house new business model incubator. Outdoor Retailer on Tuesday named Lisa Ramsperger public relations manager, effective immediately. Top of the World, the maker of collegiate licensed apparel and headwear, has been named the official locker room provider for the Pac-12 Conference. The Walking Co. Holdings Inc. announced that the company has emerged from Chapter 11. Saquon Barkley of the New York Giants, Jimmy Garoppolo of the San Francisco 49ers, Carson Wentz of the Philadelphia Eagles, Tom Brady of the New England Patriots and Baker Mayfield of the Cleveland Browns were the top-five selling NFL jerseys between April 1 and June 23 on NFLshop.com, according to the NFL. Under Armour Inc. announced the appointments of Jason Archer as managing director, Asia Pacific; Manuel Ovalle as managing director, Latin America and Massimo Baratto as managing director, Europe, Middle East & Africa. Additionally, the company announced that the Hong Kong office will be expanded to serve as the company’s Asia Pacific (APAC) headquarters. Beijing’s winning bid to host the 2022 Winter Olympic Games has successfully evoked a wave of welcoming the Winter Olympics among Chinese nationals. The June 2018 NSSF-adjusted National Instant Criminal Background Check System (NICS) figure of 892,479 is a decrease of 12.2 percent compared to the June 2017 NSSF-adjusted NICS figure of 1.02 million. Asics announced a partnership with China’s top women’s tennis player, Zhang Shuai. Ranked 30th overall by the WTA, Zhang is the first female player from China to sign with Asics. Eight-time Wimbledon champion Roger Federer, a long-time Nike athlete, has signed on as an ambassador for Uniqlo, the Japanese apparel chain. SFIA will be adding a $15,000 cash grand prize, provided by innovation hub and venture capital firm Black Lab Sports, to the organization’s third annual Start-Up Challenge. Snowsports Industries America (SIA) announced the inaugural SIA trade mission to China, September 16-19, 2018. American Nordic skiing star Sophie Caldwell will join Salomon for the 2018-2020 seasons, after a successful year in which she finished third in the overall sprint rankings and earned a victory on next year’s World Championships track. Keen Inc., best known for the Newport sandal designed 15 years ago, has signed on as a sponsor of the Newport Folk Festival. Mountain Safety Research (MSR) signed on as a sponsor for the 2018 Outbound Collective Pursuit Series. PGA Tour Superstore, which has 33 locations, plans to open five to seven stores per year and have 60 plus stores by 2022, according to a report from Women’s Wear Daily. Untuckit announced the company’s addition of NASCAR driver Chase Elliott to the company’s growing roster of athlete supporters, in a partnership that sits at the intersection of investment and brand ambassadorship. About 9,700 Rollerblade helmets are being recalled. Newell Brands completed the divestiture of Rawlings Sporting Goods Company Inc., comprising the Rawlings, Miken and Worth brands, to a fund managed by Seidler Equity Partners. Major League Baseball co-invested with SEP. The National Retail Federation called new state privacy legislation expected to be signed into law in California Friday “deeply flawed” and said customer service could be severely hampered if the legislature fails to address retailers’ concerns before the measure takes effect in 2020. Fila North America has more than doubled the company’s distribution center space, expanding the company’s presence in Baltimore. The company signed a 10-year lease, acquiring a space that sits adjacent to the current Fila facility.